That’s right, today I turn 24. Another year closer to that quarter-century mark. Except when I say it that way, it makes me sound way older than I am. 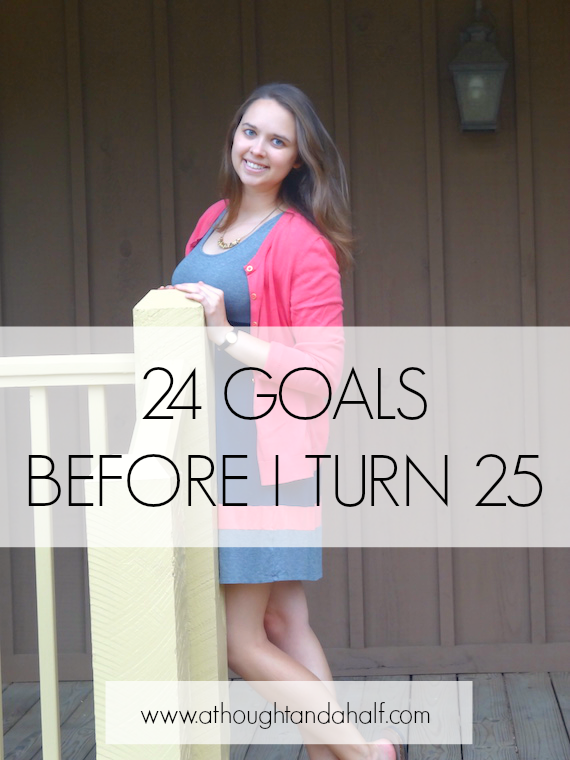 Last year on my birthday, I wrote about 23 things I’ve learned in 23 years. It was more of a reflection on some of the most important lessons I’ve learned in my life up to that point. Reflecting on the past is good to do sometimes; hindsight is 20/20 and all that stuff. But instead of looking back, this year I’m looking forward. A new year is sure to bring a whole host of new opportunities and new experiences. So I’m going to embrace them. 1. Write every day. Sure, I do that now to a degree, but I mean write write. Like, essays and chapters of novels. 2. Get an essay published (again). 3. Submit an article or essay to a magazine. 4. Make homemade pasta, just once. Just so I can say I’ve done it. And because it sounds really awesome. 5. Learn to make jam/jelly. 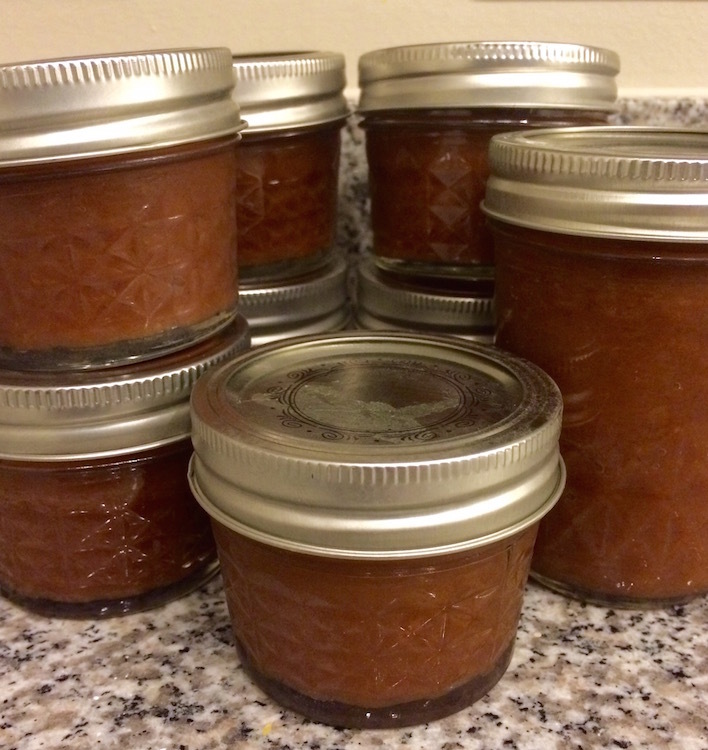 I’ve made apple butter, so that’s a start. 6. Make a completely homemade, from-scratch cake. See above. I’ll be channeling my inner Pioneer Woman for this one. Until then, these chocolate strawberry Nutella cupcakes will do. 7. Watch a new show/series in its entirety on Netflix. I’m not a binge watcher, but I do enjoy a good series. Maybe I’ll finally watch Scrubs or How I Met Your Mother all the way through. 8. Take a step forward in my career. 9. Make progress on a novel or essay collection. See #1. 10. Dip my toes into monetization on the blog. 11. Create an updated editorial calendar for the blog and stick to it. Consistency has been my biggest struggle in the last few months. 12. Go hang gliding and/or zip lining. Both are accessible in my area. I zip-lined in Alaska a few years ago and I’d love to go again. I’ve never gone hang gliding. I’ll have to get past some fears if I want to do that! 13. Maintain a healthful diet and lifestyle. 14. Go to a Pure Barre class. 15. Try a new outdoor activity. Maybe rock climbing? There’s plenty of that around here. 16. Travel to a city I’ve never been to before. 17. Travel to a country I’ve never been to before. Maybe I could knock out two birds with one stone. Looking at you, Canada. 18. Try 3 completely new foods. They don’t have to be of different cuisines, but I would like to broaden my palate a little. 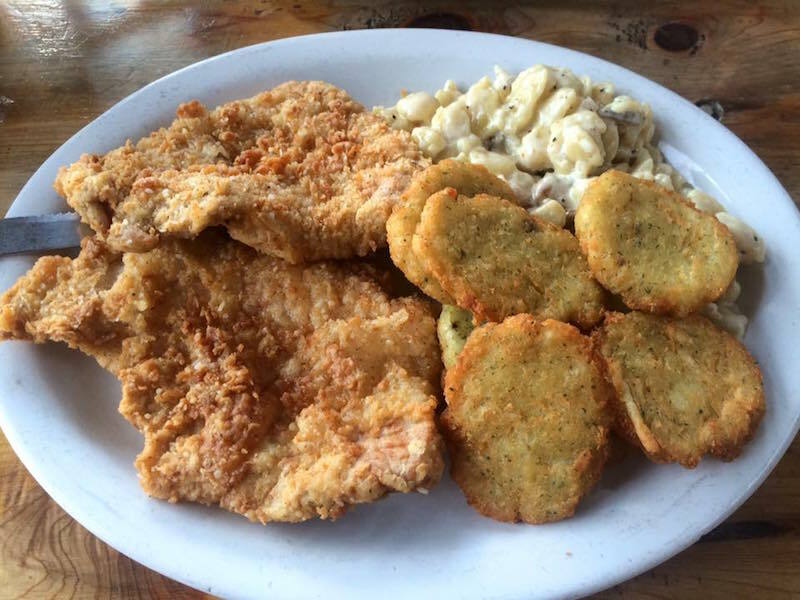 Love me some German food: schnitzel, spaetzle and potato cakes! 19. Be able to play one of my old favorite pieces on violin again. 20. Play violin in church again. 21. Host a dinner party. 22. Go to a concert of a band I’ve never seen. Walk the Moon, maybe? 23. Meet other bloggers in my city. 24. Be happy with me and where I am in my life. Here’s to year 24 being the best year yet!